The journey to speak other languages and discover other cultures is full of surprises, challenges, misunderstandings, anecdotes that we like to remember and to tell. In this Vlog I will share with you my thoughts and some of the fun, great, relevant, mind blowing, embarassing or enlightening moments I experienced as a language learner or teacher and more generally discovering other languages or cultures. They have made me become the learner, the teacher and the person I am today. Every video is available both in French and Spanish. Becoming fully bilingual, thinking in another language and using it as our own language is the dream of anyone who feels passionate about languages. But being able to speak and think in another language doesn’t necessarily imply that we can easily switch from a language to another and it can be tricky sometimes. How can we become fully bilingual and how can we switch from one language to another easily? In this video, I talk about an anecdote that happened to me when I was an advanced Spanish learner. Watch it in French or in Spanish to discover how I became totally bilingual in Spanish. Subtitles are available in both languages. Click on the picture to go to my French or my Spanish site. Remember to subscribe to my channel if you like what I do, to leave me a comment if you have any suggestion, question or if you want to share your experience with me. If you want to learn French or Spanish with me you can also join one of my facebook group for French or Spanish learners. 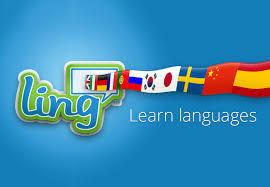 Check the information about my groups and my lessons clicking on the following botton.